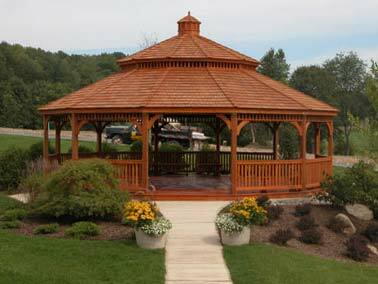 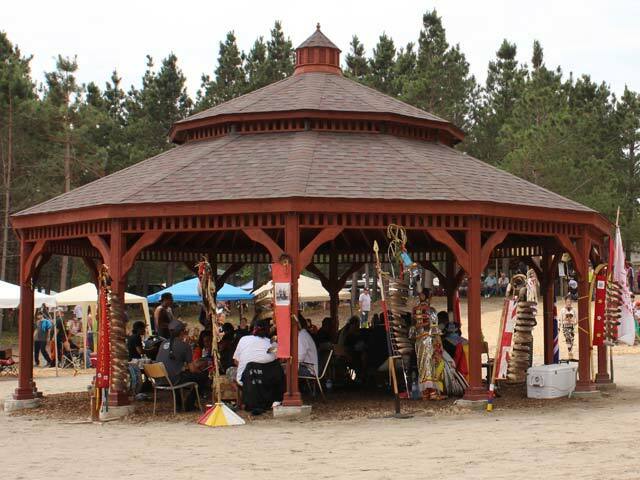 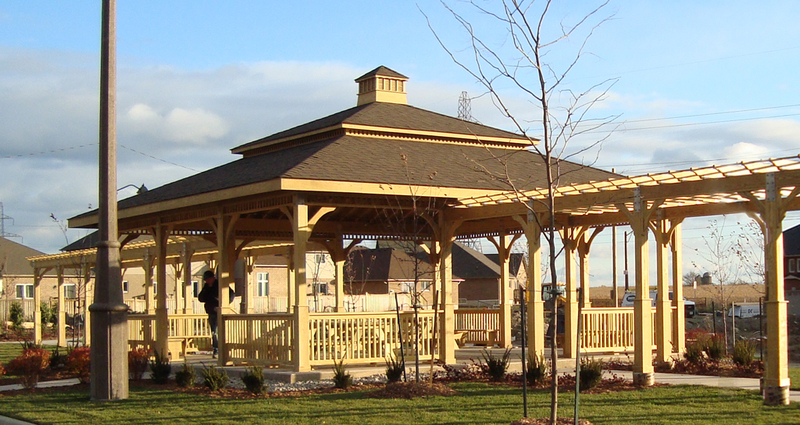 Another exceptional outdoor Wooden Gazebo Structure. 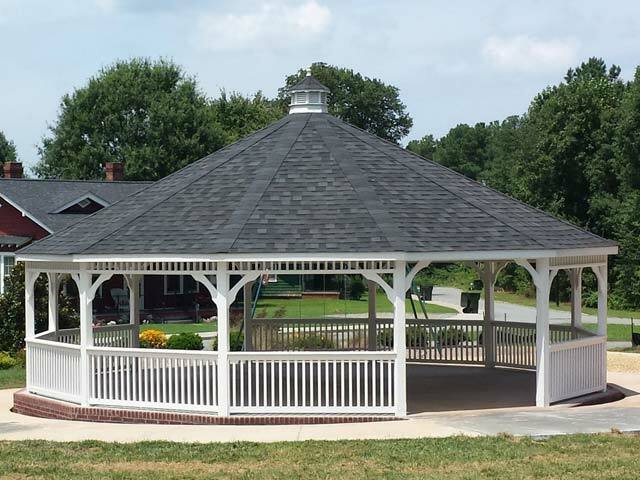 Perfect on a golf course or a town park to bring the community’s families together. 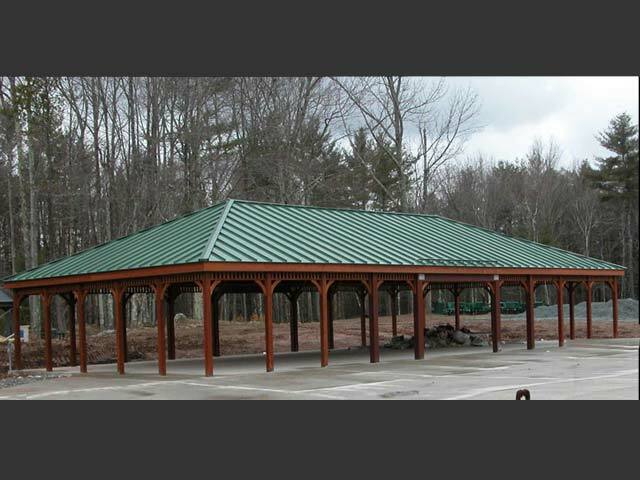 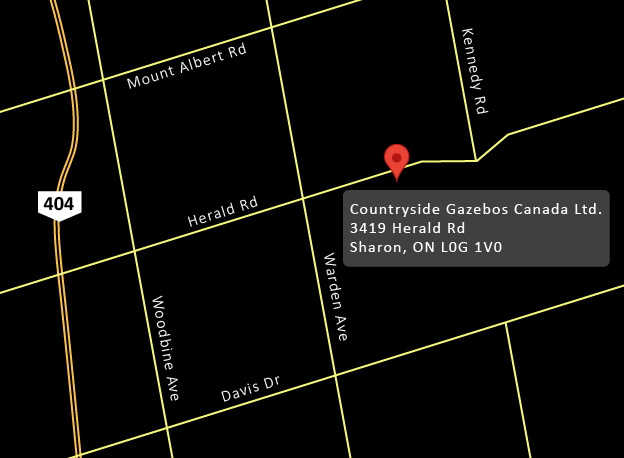 A staple in the industry and one of our favourite projects to install. 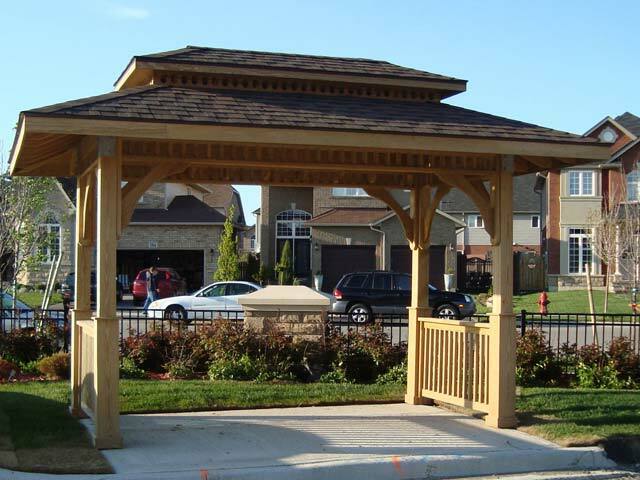 Engineered drawings are included with every project. 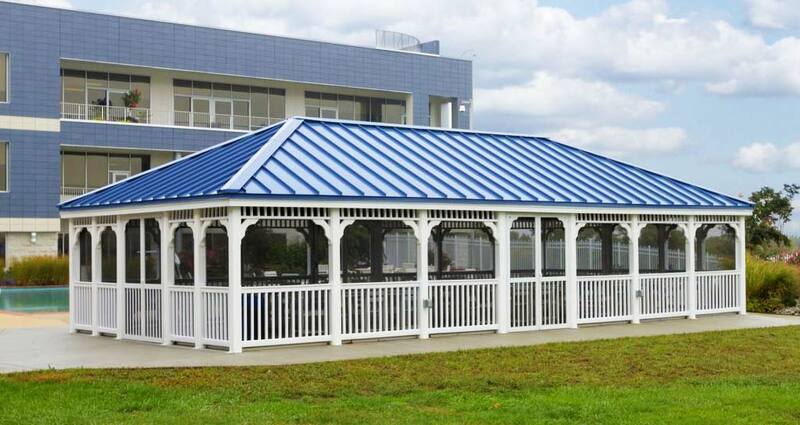 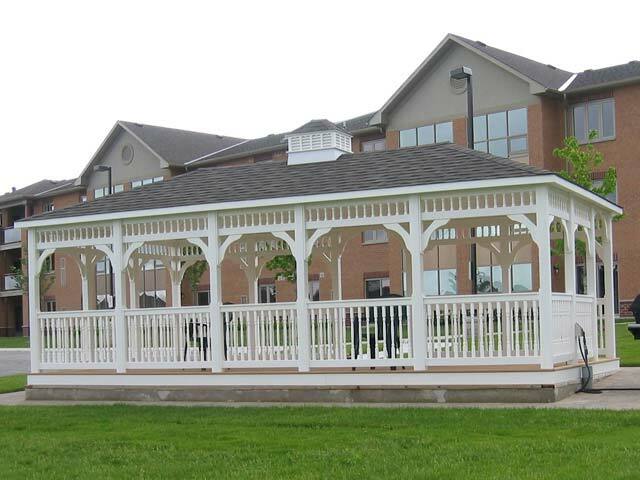 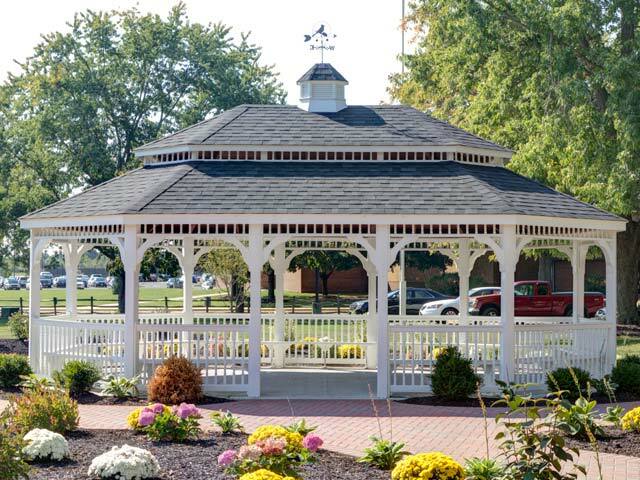 This beautiful white vinyl 25’X50’ low maintenance rectangular Gazebo with a blue metal roof and a full window/screen system is a distinguished feature to enjoy family celebrations such as anniversaries, weddings, and birthdays. 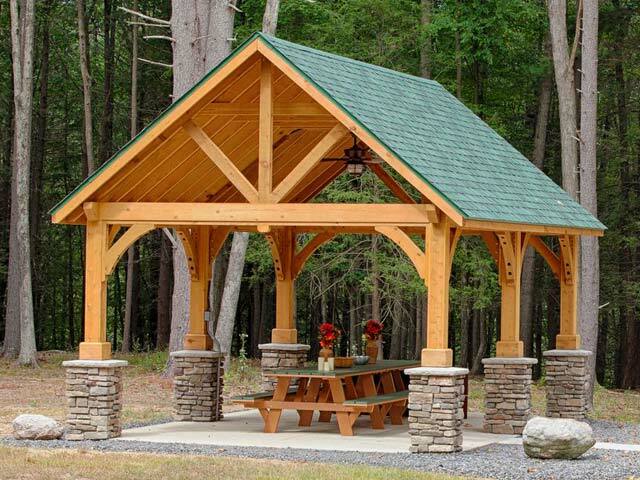 Spend a day outdoors and don’t worry about the weather, focus on being together!